Welcome to the inaugural post for the rebirth of the popular photo challenge Sunday Stills! Aixa at Mucho Spanish and I are thrilled to co-host this weekly feature! What is different about this reincarnation of Sunday Stills is that we have added a link-up using InLinkz. Link-ups are a popular way to share your posts with others. We ask that you participate in the link-up and read others’ Sunday Stills posts. For now, this will be a continuous link-up. If it grows into a large link-up, we may change it to a weekly link-up. May 6th’s Sundays Stills theme is “Refreshing.” Refreshing can have many meanings from sipping a cold beverage* on a hot day to diving into a cold mountain stream. The act of refreshing can also manifest into just sitting and enjoying a sunset after a long day working or playing! 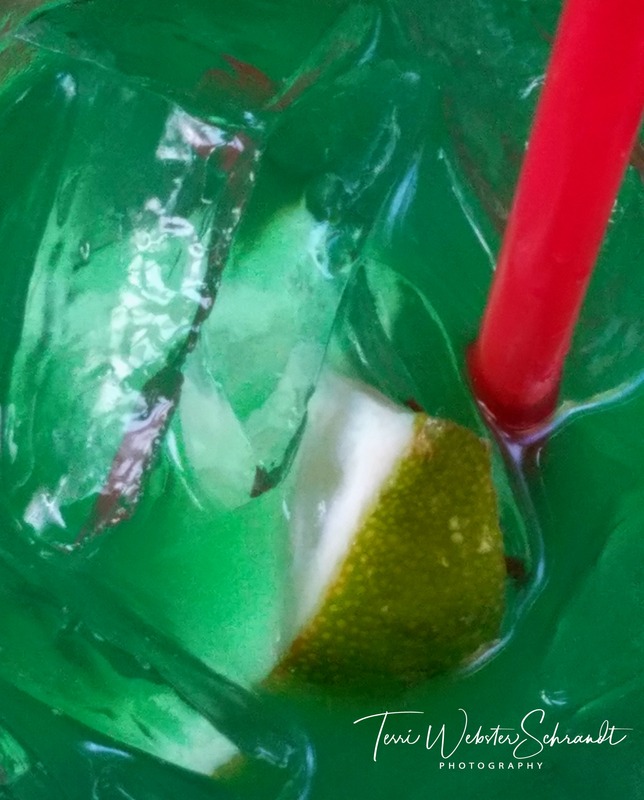 The photo below is a macro view of my St Patrick’s Day green margarita. It was very refreshing! 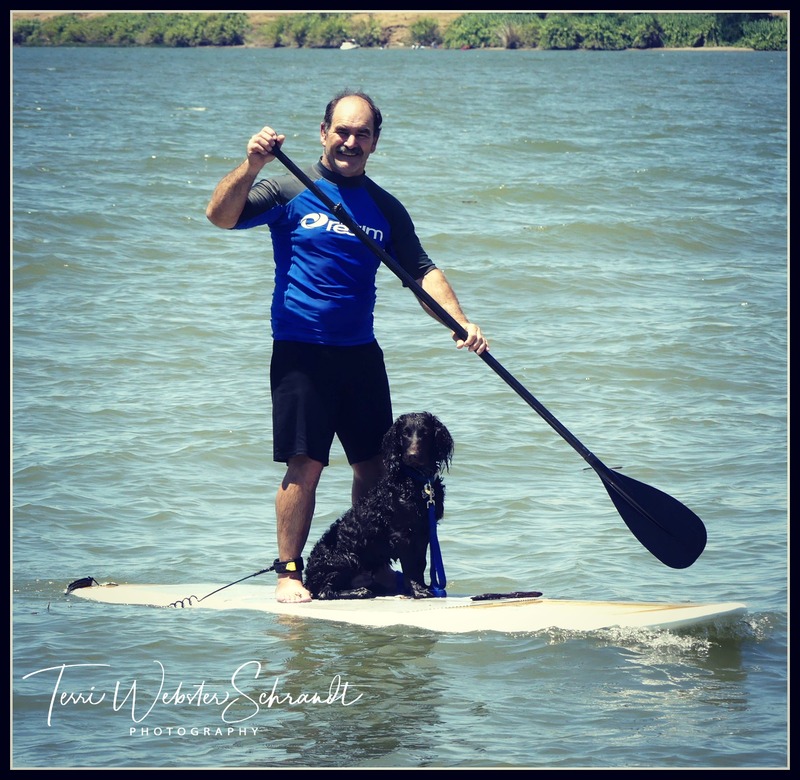 In the next photo, my hubby is stand-up paddling with our Boykin Spaniel Brodie on a hot, windless, July day at the Sacramento River Delta. With no wind, it can be rather warm (temps can get to 100 degrees), so hanging out in and near the water is a must for campers. 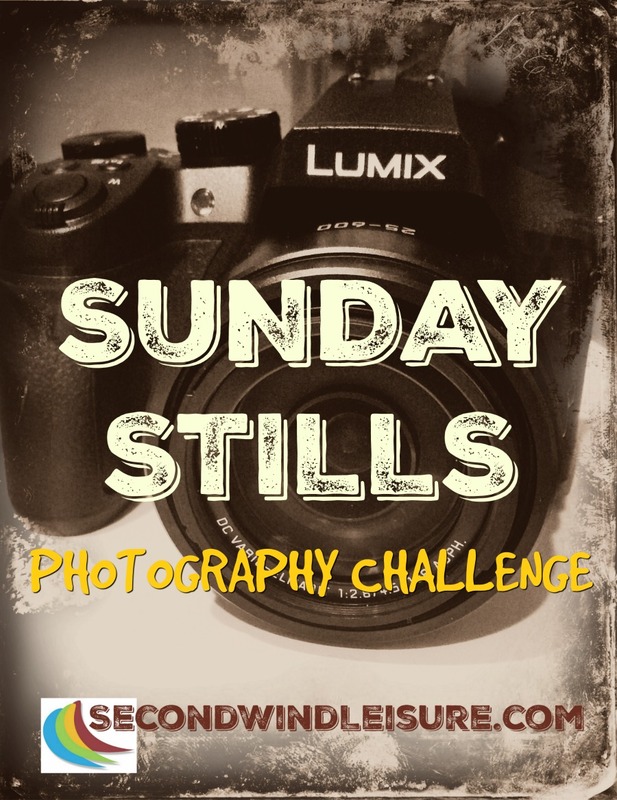 You are invited to participate in Sunday Stills, but you do not have to link your post to the link-up. However, linking up is a great way to show off your fab photos to other like-minded bloggers and maybe meet some new friends! Have fun and meet other bloggers! If you link a post, please stop by one or two other blogger’s links and spend a few moments reading, commenting, and sharing. Isn’t that what building a blogging community is about? You are not expected to read every post shared, but try to find a few that look interesting to you and leave a meaningful comment. When entering the URL, do NOT link up to your homepage. You must link up to a SPECIFIC blog post. Where it prompts you to include “Name” do NOT enter your name! Use the title of your post here. Click here to see the themes for May! What is refreshing to you? Show us in a photo! I’d like to join in once WordPress weekly photo challenge dies the death! Love to have you aboard! Hi Linda, thanks for participating! I’ll be over to visit soon! I kind of took after your photo of your hubby and dog. I’m so glad I found this challenge. I know I’m late, but …. Your photos are gorgeous and refreshing, Cee. Thank you for bringing your talent to the challenge. And it’s never too late! Thank you, Carl, nice to hear from you! This looks great Terri, I’ll try to participate 🙂 I love your photo’s, so very ‘refreshing’ 🙂 and Brodie Awwwww what a star! Thank, Sam! Participate when you can! Love the close up of your drink, makes me want to fall into it! I’ll have to check out the link up. Hi Jennifer, yes! I hope you can play along! I’ll add to the link up! Oh I love your photography 🙂 I especially love the pic of Brodie (being an avid cocker spaniel doter) Don’t they just love the water? 🙂 What a great link up. I found you via Midlife Share the Love Party Link Party and I’d love to link to your Sunday Stills. Nice to meet you Terri. Looks like we have an interest in photography in common. Lovely to learn of your new link up too! What a fun link up and nice photos, Terri! I look forward to participating in the future. So after a 6-month absence I am relearning how to create a post & link. It will happen here eventually. Thanks for the fun prompt. Thanks, Tina! It’s nice to be back (although I just finished grading 12 papers & am bleary eyed!) to blogging consistently. Rokus are great, you will get a lot of use out of it! Yes you can tell by the weather! Got warm here today, how about your neck of the woods? Enjoyed the picture of your husband on the river. when I look out the window, there is still snow on the ground. Makes me want summer to arrive a bit faster. I live in Alaska so seasons are always way behind or well ahead of everyone else. Followed your link from Janice’s Inspire me party. Oh, thanks for stopping by! I would love to visit Alaska–every place has its charm! Reblogged this on idahobluebird50 MYSTERIES GALORE AND PHOTOS. Nice photographs, Terri. The one of the St Patrick’s drink is very aesthetically pleasing. Thanks, Robbie! I love photographing closeups! Glad to see you back Terri and as always your photos are interesting and creative. A great idea for a link up too! New but joining in the fun! thank you, your photos are beautiful, Laura! Hi Richa, welcome to Sunday Stills and come back often! Oh, I might just have to join in this one! Sunday is a great day to post a prompted photo. I must have missed that page of prompts. Welcome back, Terri. I look forward to following this regular feature! Oh, this looks like great fun, Terri. I’ll have to work on participating next time. Love the photo of your refreshing green margarita and the paddling duo! Thanks, Molly, I’ll look forward to your participation! Does the post need to go up on a Sunday, or do people post on a day that is convenient and just do the link up on Sunday? I am so literal when it comes to following rules, I sometimes need remedial help. Haha! You can post any time it works for you. We roll out a new theme each Sunday! And the link-up will be continuous! Thanks for asking and looking forward for what you come up with, Molly! Yay, Carol, glad you joined!! Hi Janet! Nice to have you here! That is a very green margarita – and a very refreshing paddle up the delta. I love the shapes and colors of the margarita. Very interesting way of looking at it! Imagine, a national day for lemonade 😮 Coincidentally, I made my own yesterday so I’m ready to celebrate! Brodie looks very comfortable on that board with your husband. Were you on another board? With your camera? Yes, Brodie loves riding on the SUP! I was just on shore when I took the pic. I’m too afraid to take my camera or phone out on the SUP when I have the dogs with me! Yes, that’s what I thought right away. I always love your photos with Brodie!! Does he just stay there the whole time??? What a good doggie!! He loves riding along but he has been known to jump off and swim alongside! Great, I’ll check it out, thanks for linking, Hugh!! You’re very welcome, Terri. I wish you much success with Sunday Stills. I’m packing for the UK next month will I still need a warm jacket and raincoat? It loos lovely where you are now. Bring a raincoat and something to keep you warm in the evenings. June may be the month that we have most daylight in the UK, but the weather can be unpredictable. What a wonderful initiative, Terri. I like the theme “refreshing” of this week, as I think about the margaritas Mark made last night to go with our homemade fajitas! 🙂 I hope to join the challenge in the future, when I’m not quite so busy with other blogs and projects. Of course, then I’ll be busy traveling. Thank you Liesbet, hope you can add your awesome photos when you can! Check back on the Sunday Stills page where I will have each month’s themes posted in advance!